Dry Shampoo – What can it do for your Hair? Having naturally oily hair or having a hectic schedule can throw you off your shampooing routine, dry shampoo is a convenient alternative. Your dry, greasy hair can look healthy voluptuous and bouncy with a quick application of dry shampoo. You may also use dry shampoo after washing your hair, to help with volume and weight. Some dermatologists and hair experts say that dry shampoo can have a bad effect on your hair, but that only happens if you use it incorrectly and too often. It’s convenient when you don’t have a lot of time, keeps the natural oils in your hair for longer, helps to retain the life of the colour in your hair if you’ve died it, and also helps to prevent split ends which washing to often will cause. As well as going days without washing your hair, dry shampoo can help you style your hair with minimum effort. It is also helpful when there is humidity in the air, it can be difficult to maintain your hair when humidity is high as your hair becomes flat and lifeless, wavy hair becomes frizzy and unruly hair is your worst enemy, dry shampoo can be a lifesaver in these situations by controlling frizz, taming unruly hair and adding volume to lifeless thin hair. Dry shampoo is also a great fix for post gym hair, temporarily removing all that sweat and perspiration. Girls with long hair usually have a set shampoo routine, because long hair can be unmanageable otherwise, Moreover, it can get oily within hours of shampooing. Instead of the entire tiresome process of shampooing early in the morning and waiting for your locks to dry naturally, dry shampoo can rescue you from bad hair days. The pressure to look good, and for your hair to look even better is high, especially at music festivals where you’ll be sleeping in tents and probably having to Que for hours to use the showers. Dry shampoo eliminates this problem giving you more time to enjoy the event. Dry shampoo ensures your hair doesn’t give up on you when you’re away from the comforts of home, dry shampoo can be your daily fix for Festival Hair. There are a variety of dry shampoo’s available, for different types of hair and in different forms. Choosing the most suitable dry shampoo is important. 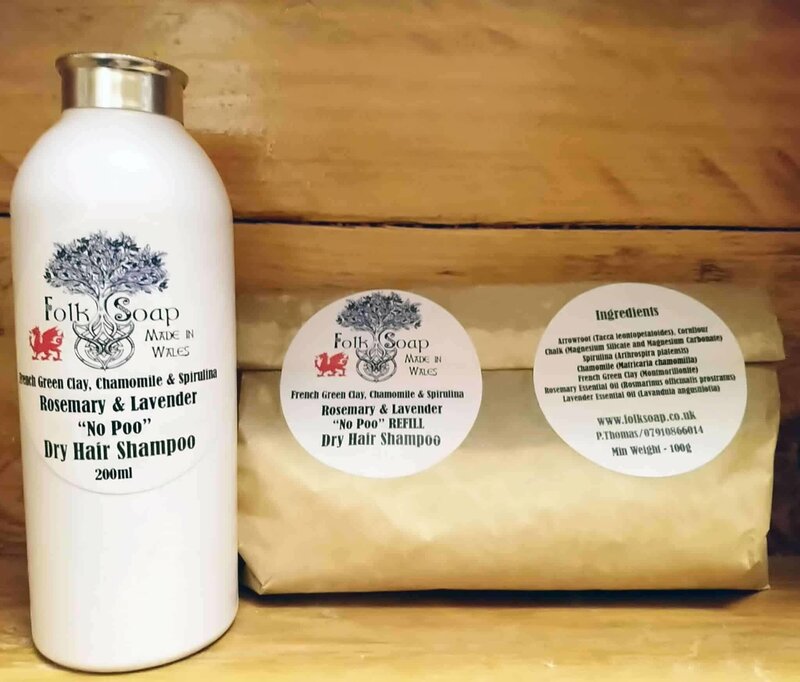 Here at Folk Soap we offer three types of dry shampoo which are available in refillable Eco friendly bottles or biodegradable paper refill bags, we have one for light hair, a mid range choice for brown or red hair and a dark dry shampoo for black hair. Our dry shampoo’s will leave your hair looking fantastic safe in the knowledge that you have cleaned your hair with an all natural product. Natural ingredients can work wonders for your locks, without harming them. 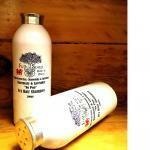 Natural shampoos are cruelty free, and safe for the environment. There are some basic steps involved in using dry shampoo the right way, if you follow these, you won’t go wrong. First, wrap a towel around your shoulders and comb out your hair. Remove knots and divide your hair into smaller sections. Choose the right type of dry shampoo for your hair type. Apply to roots and massage gently, allow it to soak up the oily sections of your hair. Brush out your hair so the dry shampoo can spread evenly through your locks. Avoid using sharp plastic bristle brushes as they can cause split ends. Dry shampoo is super convenient, however, it is not a replacement for washing your hair, it simply allows you to maintain your hair it between washes. If you follow the recommended steps, you can forget about your oily hair problems, because dry shampoo is your quick fix and will never let you down.